Do you remember what it felt like to finally buy a home in Jacksonville? Walking through that door, seeing your pristine new house, just waiting for all of the personal touches that will truly make it your own? It’s like being a master painter staring at a perfectly clean canvas, knowing that you’re about to turn it into your masterpiece. Of course, as we all know, that feeling is fleeting. Life happens, clutter accrues. Maybe your kids feel that same artistic inspiration, but this time it involves your clean walls and a pack of crayons. Before you know it, your perfect dream house is in need of some serious elbow grease, a few layers of paint, and a thorough dusting. Don’t let it overwhelm you; it happens to everyone. That’s why Spring Cleaning is such a time-honored tradition. Every year, when the season changes and nature starts to refresh itself, homeowners all over the world take the opportunity to do a little refreshing of their own. With a little bit of planning and some good old-fashioned hard work, you can make your lived-in house as fresh and clean as a brand new home for sale. 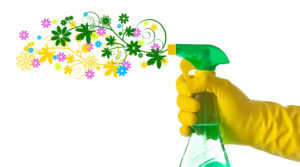 To help you get started, we’ve put together a few handy Spring Cleaning tips and tricks. Just follow these simple steps, and you’ll have people saying, “When did you buy this home, it looks brand new!” in no time. Go into any store, and you’ll find hundreds of cleaning products for every conceivable purpose. Believe it or not, though, a lot of the most effective cleaning products are things you probably have lying around the house anyway. Trying to disinfect that garbage disposal? There’s no need for chemical cleaners. 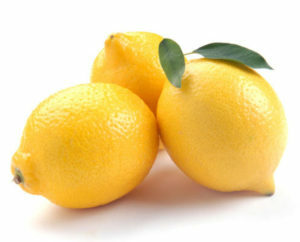 Just drop a whole lemon in there, run it for a few seconds, and voila! It’s as good as new. You can use baking soda and a damp sponge to remove buildup from your dishwasher. Having a hard time getting your toilets clean? Try Tang or powdered lemonade mix. The gritty texture makes it perfect for scrubbing and the citric acid will help loosen up any residue! You don’t need to make a special trip to the store for cleaning supplies, just get creative with what you’ve already got! A tool is only as good as its owner, and using your cleaning tools properly is the key to the best results. Is your sponge getting a little dingy? Don’t throw it out, just get it wet, squeeze it, and microwave it on high for one minute. It’s a great way to disinfect and it’ll save you money. 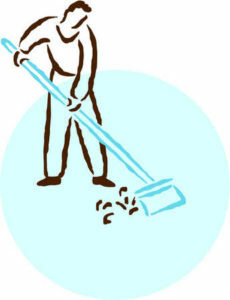 When you sweep, make sure you do it correctly. Pretend you’re rowing a boat, and that the broom is the oar, and you’ll get the best results. When you’re done sweeping, remember to store the broom with the handle side down. It’s easier on the bristles and will make your brooms last longer. 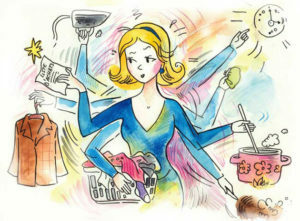 The best way to make cleaning easier is to do something else at the same time to take your mind off what you’re doing. Have a ton of laundry to fold? Pull out your phone and call your friends and family. You’ll still be happily chatting away by the time you’re done. No one wants to push around a vaccum cleaner and listen to it, so why not put in some earbuds and play a book on tape for yourself? You might even find yourself vacuuming more than you have to just to make it to the end of the chapter. With these tips, you can make your house as good as new this Spring. And if you’re looking for a little bit of help, make sure to stop by our contest page. You can enter to win a $100 Gift Card to Amazon! That’s a lot of cleaning supplies!